This page contains info only about my solo work-- please check out the rest of the site to read about bands and collabs. Solo is me, unchaperoned, on guitar, vocals, and electronics. “At times, her noise-baked badlands blues plays like some epic, elemental cross of Sir Richard Bishop and Earth, but with a wild-child streak. sonic landscapes that are gorgeous, foreboding and sonically feral, it’s a sound at once forward and ancient.” (Bao Le-Huu, Orlando Weekly). “A wizard on a semi-circle of effects pedals, but… equally adept with FX-less technique," (Lars Gotrich, NPR). "Mendoza plays these songs. She makes them sing. Her technique is impeccable, but her playing is astonishingly expressive. She doesn't just bend blue notes; she wads them up into a ball and throws them up against a wall... Mendoza knows what she does well, which is tell stories with her guitar. Check that. 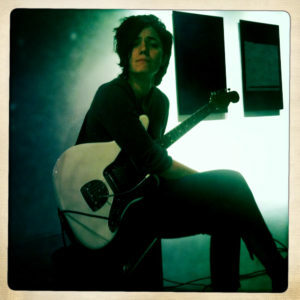 Mendoza knows what she does better than almost anyone else on the planet, which is tell stories with her guitar." (Aiding and Abetting). 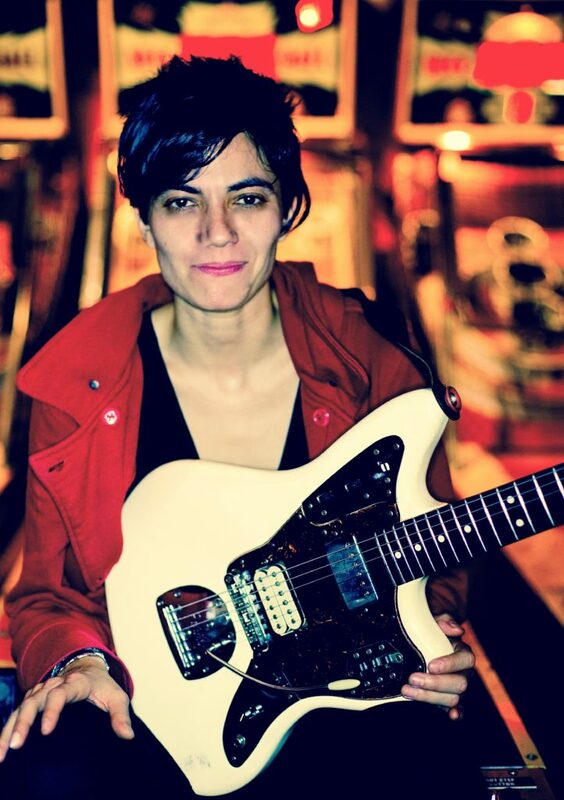 She was featured as one of Guitar World‘s “10 Female Guitarists You Should Know”. "What obscure, overlooked master playing in some slashing, raw-yet-virtuosic manner is this?" -Nels Cline. In this, her solo debut, guitarist Ava Mendoza starts from old melodies already tattooed on your brain, then applies sufficient heat to peel that paint leaving you re-pinked and wondering what's next. What's next are original compositions, heavy, gorgeous, oddly reverby, layers that build, blister and flake away to alight indelibly on your mind. Just as Mendoza reprises those traditional tunes, you discover she's walked you far into a lost countryside. How, or whether, to get back will be your own business.